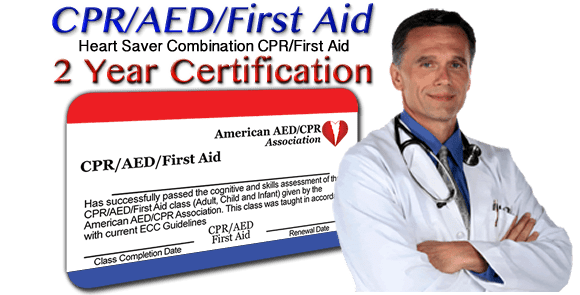 The Rule of 9's is used by First Responders and Emergency Facilties to determine total BSA (Body Surface Area) affected by a burn. 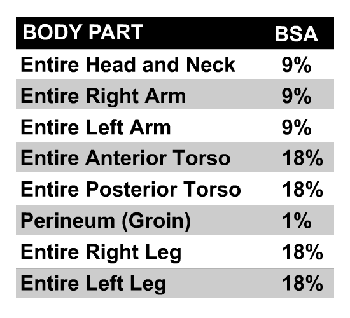 To the estimate body surface area of a burn, the Rule of 9's assigns BSA values to each major body part. This allows first responders to quickly estimate of how much body surface area is affected by the burn. For example: If half of the victim's right arm were burned, you would assign a BSA value of 4.5% (half the value of the entire arm). If the entire right arm and the entire front of the victim's torso were burned, you would assign a value of 27%.